Galway’s vibrant theatre festival returns for its 10th year this week, showcasing more of the unique and exciting talent from the West’s performance scene. Based on the play by W.B. 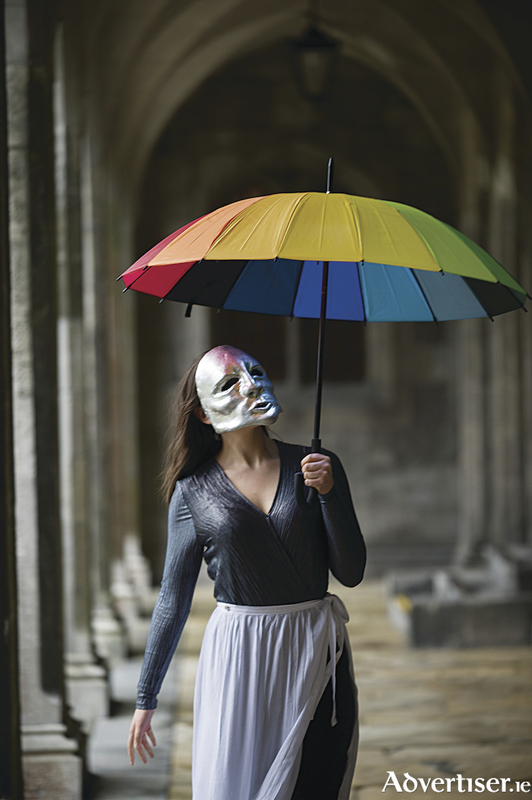 Yeats, The Only Jealousy of Emer mixes masks, live music, movement and song to tell the tale of the death of legendary Celtic hero, CúChulainn, through the eyes of his wife, Emer. Fierce, strong characters, beautiful visual imagery, and soaring imagination make this a show not to be missed! On from May 5-7 at 5pm and May 8 at 1pm, in the O’Donoghue Centre, NUI Galway. In Thirteen Steps To The Attic the team that presented the highly-successful show Turf in GTF 2016 offer a show that demonstrates the ability of individual stories to illuminate moments of universal experience. In an attic, in a house, with only letters for company, a woman is led to take a precarious step into the vibrancy of her imagination. This is an evocative solo performance of movement and text set to a live sound-score and recorded tracks from the eclectic band Thieves of Silence. On from May 4-May 7 in Nun’s Island Theatre at 7pm. The show Two Truths asks - in our post-truth, post-fact era, what do we use to make important decisions? A game-theatre event that lets players question their own beliefs and collectively decide the direction Ireland should take in the next decade, Two Truths promises a playful and thought-provoking experience that mixes role-play, theatre, politics, debate... and colouring crayons! On from May 5-May 7 in the O’Donoghue Centre, NUI Galway at 2pm. And for young playgoers and family audiences, Morgan Creative presents a dramatic re-imagining of Antoine Saint Exupery’s classic tale The Little Prince. This contemporary performance uses multiple different art forms to bring the magical story to life - a fantastical adventure for children aged 5-12, that explores growing up and how the imagination we are all born with can save us. On from May 5-May 6 in the Mick Lally Theatre at 12pm and 3pm. And that’s not all... as well as the other theatre events, there are a host of other activities taking place- including theatre workshops, talks and discussions, works in progress and late-night craic at the Festival Club. For the full Festival line-up and online ticket sales check out www.galwaytheatrefestival.com Tickets can also be bought online, by phone, or in person through the Town Hall Theatre Box Office - www.tht.ie / Telephone: (091 ) 569777. Fantastic news for their members!! Galway Bay Golf Resort presents their annual Galway Bay Ladies AM AM.